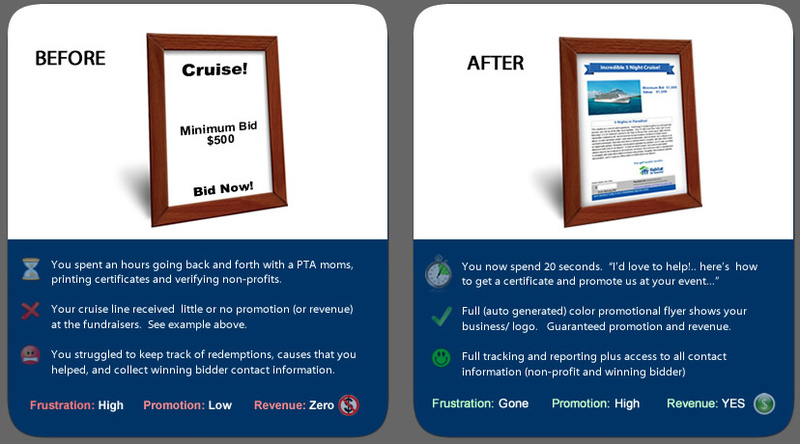 "The simple, fully automated (and completely free) way for cruise operators to efficiently connect with non-profits"
Your company is automatically promoted at fundraising events. We provide events with color flyers that feature your photo, logo, cruise details, and contact information. 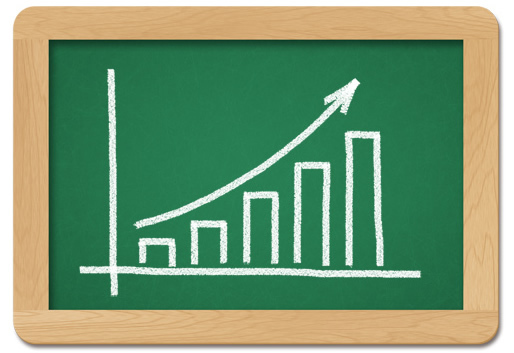 You'll enjoy automated promotion to affluent supporters of non-profits (who are potential future clients). "What a great way to use some extra space on our cruises. We will spread the word!" Fully automated. 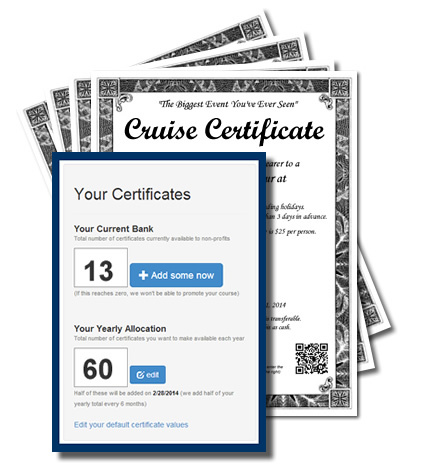 You decide how many certificates that you would like to issue. 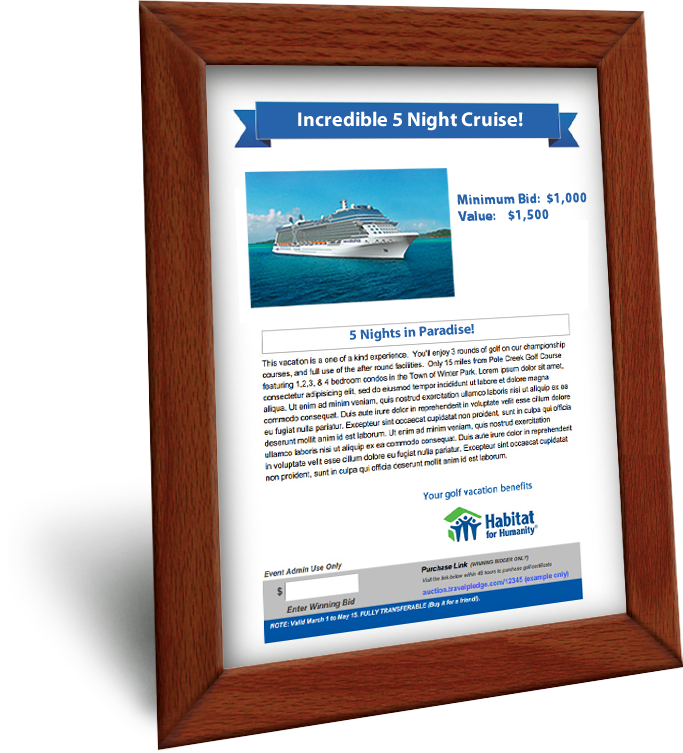 Party size, length of stay, cruise details, etc. We handle the rest. When a charity asks you for help, you now have an easy answer for them. No more spending time preparing expensive promotional packages or printing certificates. Use certificates to fill periods of the year that are known to be slow. In some cases, you’ll collect half of the proceeds, plus winning bidders are very likely to purchase add-ons, upgrades, extensions and also are likely to reward excellent service with a sizeable gratuity. Don’t let a spot on your cruise sit empty!